Proud host of LPGAGOLF 101 coming in the spring of 2018. Call Patty to setup an appointment. 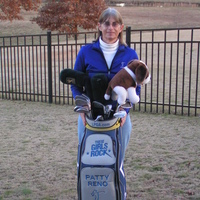 Patty Reno is a Life Member of The LPGA Teaching and Club Professional (T&CP) Division. The LPGA T&CP was founded in 1959 and boasts the largest membership of women golf professionals in the world. LPGA T&CP members are certified as golf instructors, coaches and business managers through a comprehensive curriculum designed to meet the changing needs of the golfing public. For more information about instruction or club-fitting availability, please contact Patty via email or phone listed above.